"Tiggers are wonderful things! Their tops are made of rubber, their bottoms are made out of springs!" 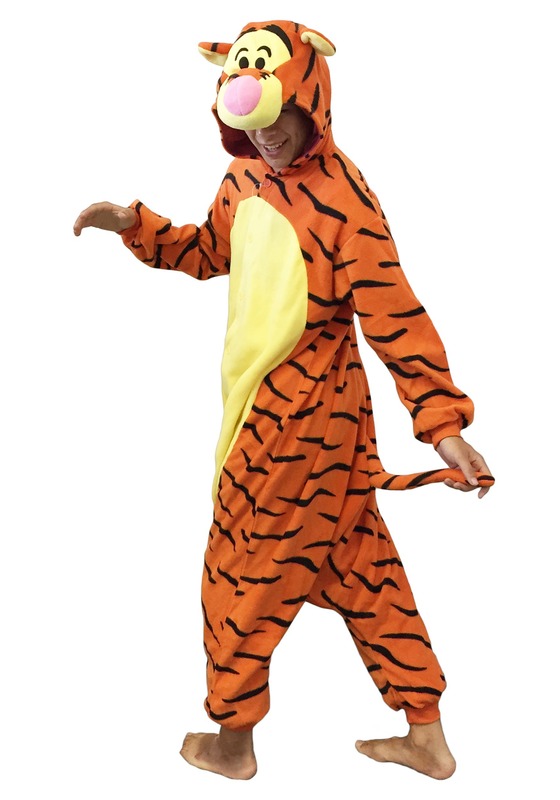 That definitely helps explain how Tiggers are able to bounce so well, but it doesn't sound like it would make a very comfy costume. 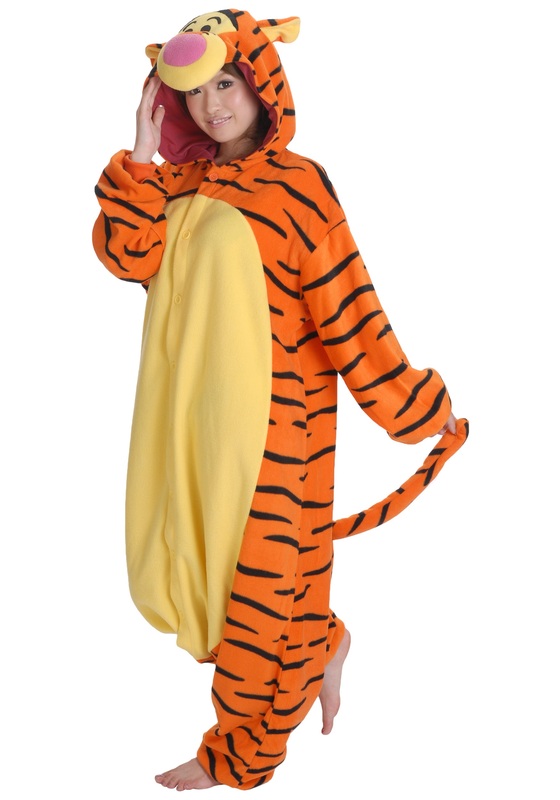 Lucky for you, you can bounce around the room as much as you want in this officially licensed Tigger Pajama Costume, while being as cozy as a Tigger can be! Dressing up as any character from Winnie the Pooh sounds like you'd be in for a soft and cuddly time, but being a Tigger means more than just comfort. As the most energetic and enthusiastic critter in the Hundred Acre Woods, Tigger spends all day laughing, being loud, and bouncing around on his tail, coiled up like a spring. So, if you go to a costume party dressed up like Tigger, you have to be as loud, silly, and bouncy as a Tigger would be! Did we also mention how cozy these PJs are? We did? Goody, because we'd hate to leave that out! This fleecy hooded jumpsuit is styled to look just like the lovable Disney character, and gives you plenty of freedom of movement, so all of your bounces can go off without a hitch. And when you're ready to head home and tuck yourself into bed, remember to tell everyone "T.T.F.N, Tah-Tah For Now!"